Resources and links in both Spanish and English to support Señora Newell-Robinson's students. ENFOREX welcomes over 35,000 students every year at more than 28 academic centers, located in Spain and Latin America’s most important and emblematic areas, so that they may learn Spanish and experience other cultures. ClassZone is a textbook companion service from the Houghton Mifflin Harcourt Publishing Company. Exploration by students and teachers at Iowa Park, TX public schools. 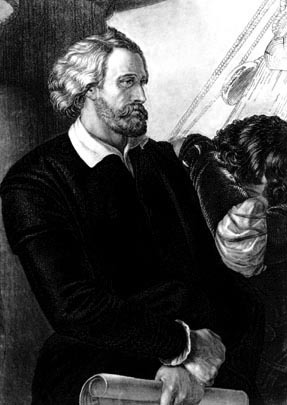 "Christopher Columbus." Photos/Illustrations. Library of Congress. World History: The Modern Era. ABC-CLIO, 2015. Web. 20 Oct. 2015. Spanish-language biography of Columbus from Biografías y Vidas. "Catalonia." BlouinBeat. Blouin News, 5 Nov. 2013. Web. 17 Oct. 2015. <http://konwersatorium3.blogspot.com/2013/11/national-day-celebration-on.html>. Information on different racial groups from Explore Nicaragua Online. Practicopedia via lainformacion.com, which is a site for students studying Spanish language and culture. 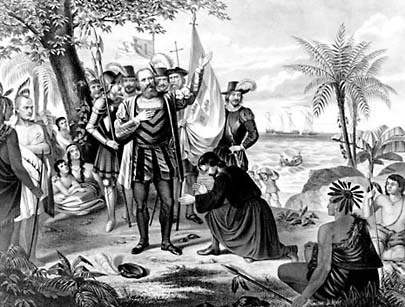 "Christopher Columbus lands in the New World." Photos/Illustrations. Library of Congress. Modern Genocide: Understanding Causes and Consequences. ABC-CLIO, 2015. Web. 20 Oct. 2015. Chapter from book titled "Columbus Lands in America." Chapter titled "Columbus Day Debates Reflect Cultural Diversity."